Alice Solomon has been involved in major competition disputes, in key industries such as telecommunications and pharmaceuticals, and public procurement proceedings. 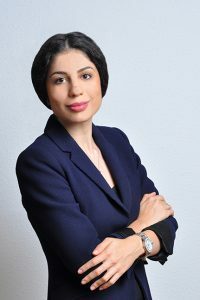 Before joining Tanasescu & Gavrila, she worked with a major international law firm, where she was involved in several due diligence investigations in major real estate acquisitions projects. She also developed experience in corporate law and civil law.